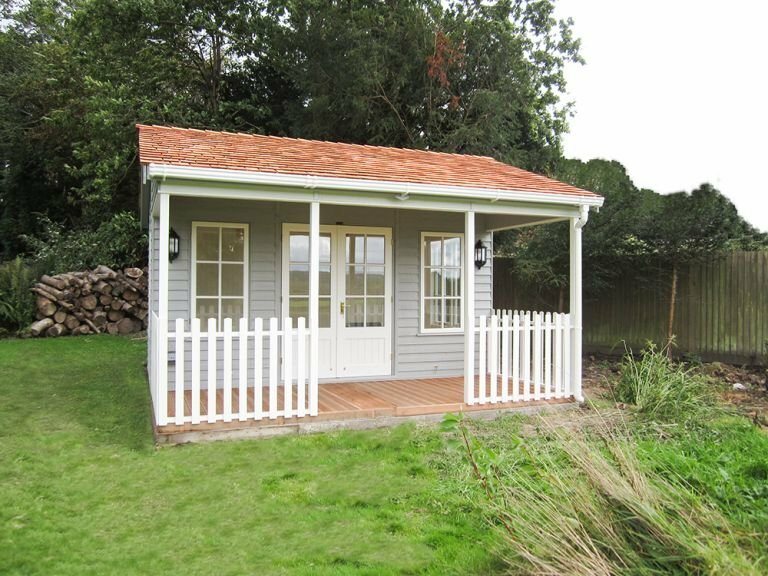 This attractive, tree-lined garden room in Rotherfield, East Sussex is the new home of this 4.2 x 4.2m Garden Room with Veranda for use as an entertainment/relaxation spot to enjoy their garden from throughout the year. The 1.8m deep veranda on the front is sheltered and surrounded by a picket fence to allow the customer to sit outside, while still being under cover. To fit in with the country style of their garden, the customer chose to have cedar shingle tiles on the roof, Georgian windows, rustic weatherboard cladding, and two neutral paint colours from our Valtti paint range: Pebble for the walls, and Ivory for the doors, windows and veranda. 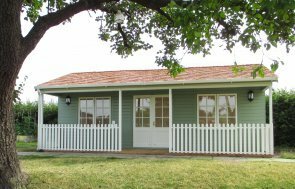 Our Garden Rooms are year-round usage buildings, as they come with full insulation, matchboard lining, double glazing, and an electric pack with a heater, all as standard. These features together will make this building cosy haven, even in the depths of winter. Create your own bespoke garden building using our online price builder. 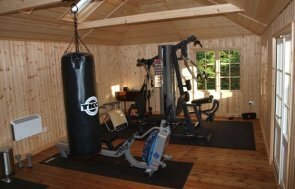 For more information on our garden rooms, along with the other garden buildings we offer such as summerhouses, garden sheds, studios and greenhouses, we encourage to take a look around our website.